In 2017, financial institutions around the world continue to work hard to fight financial crime, corruption, and fraud at the international level. The demands imposed by their clientele, as well as by regulatory compliance, are often difficult to manage, yet are key to an organization’s ability to maintain their status as a viable and sustainable business. Creating a successful anti-money laundering (AML) program is paramount to organizations that must meet strict regulatory screening and reporting requirements. Consistency and efficiency has been the key to completing these daunting tasks in recent years, especially as compliance requirements continue to grow in response to the emergence of new global threats. However, many in the financial services sector believe that the current investigative and reporting guidelines are ineffective, leading several of the United States’ largest banks to challenge the legislation that is currently in place. The article “Big U.S. banks to push for easing of money laundering rules”, cited in BSA News Now on Friday, February 17th, 2017, discusses how American banks are gathering to propose a “complete overhaul of how financial institutions investigate and report potential criminal activity, arguing that rules imposed in the years after the Sept. 11, 2001 attacks and strengthened during the Obama administration are onerous and ineffective” (Schectman, Freifeld, Brett, 2017). 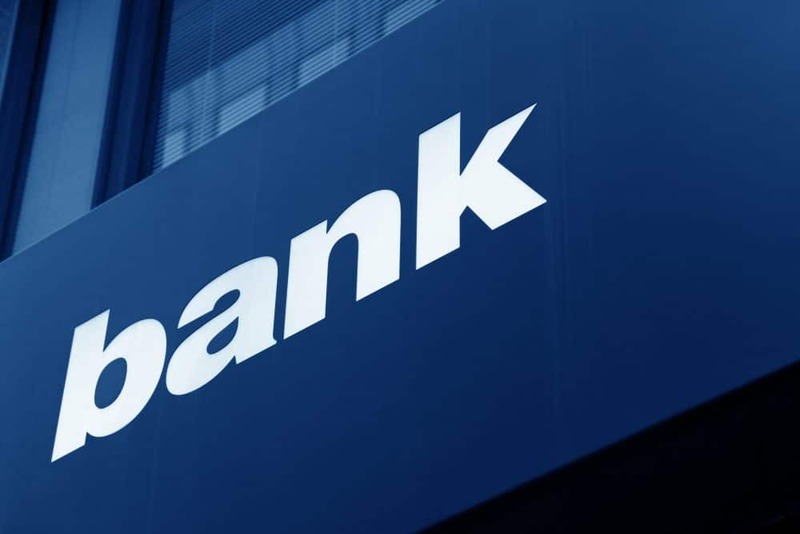 Banks such as Goldman Sachs, JPMorgan Chase, and Bank of America have privately voiced their concerns in recent years over the effectiveness and overall need for the current rules. This will mark the first time however that The Clearing House, a trade association comprised of these and other large U.S. banks, has openly called for the guidelines to be edited. With new President Donald Trump stating that he hopes to cut down on costly regulations for Wall Street, The Clearing House has viewed this as an opportune time to publish their proposal. One of the main arguments made by banks across the United States in regards to the rule changes they have deemed necessary are that due to the strict reporting requirements that have been ramped up over the past five years, banks are now over-reporting and filing an over-abundance of suspicious activity reports (SAR’s). This is reportedly due to fear of the severe financial penalties and sanctions that can be handed down by federal regulators if a company fails to report criminal activities. Compliance expert Gary Shiffman summed up this dilemma perfectly when he explained “Now we tell banks to file a (report) on everything that might be criminal, but when everything is a priority nothing ends up being a priority” (Schectman, Freifeld, Brett, 2017). The statistics largely support Shiffman’s claims. According to the Financial Crimes Enforcement Network (FinCEN), a U.S. Treasury Department bureau that combats domestic and international money laundering and terrorist financing, “the number of suspicious activity reports rose from 669,000 in 2013 to almost a million in 2016” (Schectman, Freifeld, Brett, 2017). effectiveness of the process while also increasing their organization’s overall efficiency, all while saving valuable resources along the way. The idea is for law enforcement to warn banks throughout the U.S. of specific transactions to look out for, which will not only lead to more fruitful results, but also a better working relationship between the parties involved. Another likely aspect of the proposal will be the “creation of an information-sharing platform that would allow banks to share data among themselves about possible criminal transactions” (Schectman, Freifeld, Brett, 2017). While the proposal is still in its early stages, many are already wary of how it will be received by federal regulators and U.S. law enforcement officials who have grown set in their ways in regards to the current process. Others believe that there is no chance that compliance regulations will be edited to make compliance easier for the banks. However, much of this debate is simply speculation, as we will have to wait and see how the Trump Administration chooses to handle the issues at hand in the coming months. Last week, Global RADAR reported on some of the fallout related to the “Panama Papers” scandal of 2016. At the center of the mess were approximately 11-million leaked documents that revealed multiple prominent political figures from across the globe that were involved in the creation and use of offshore entities to evade taxes and to facilitate money laundering activity. Through the leak, Hong Kong was found to be the most active center in the world for the creation of shell companies. However, it appears that the Chinese central government is actively moving to change the territory’s reputation of corruption. Hong Kong’s Financial Services and Treasury Bureau (FSTB) recently proposed new legislation that “seeks to impose anti-money laundering laws on non-financial businesses and to require private companies to disclose who their true owners are” (Reuters, 2017). Additionally, the FSTB has also looked to combat other ways through which criminals have hidden their illicit money laundering activity in the past. It has been reported that the new rules will also introduce a “direct licensing regime for agents that set up and manage the paperwork for thousands of trusts and “letter box” shell companies that have no real business operations”, a method that has been used frequently in recent years to aid in the laundering process (Reuters, 2017). Trust & company agents, as well as lawyers and accountants, will begin to have a mandatory obligation to carry out checks on the source of wealth of their clients, and file suspicious transaction reports or potentially face jail time. The Chinese Government hopes to have the bill enacted by April of 2017. Federal agents have taken hold of an estimated $22.6-million found hidden in the home of a Miami Lakes marijuana trafficker. Narcotics detectives raided the home of Luis Hernandez-Gonzalez in June of 2016, where they were shocked to find the large haul hidden in 24 orange buckets in a secret compartment found in the man’s attic. Legal representation for Hernandez-Gonzalez insists that the money was earned legally through the sale of indoor gardening equipment through his business located in North Miami-Dade County, but the funds will “now be the subject of a forfeiture claim before a federal judge” (Ovalle, 2017). Originally charged with marijuana trafficking, Hernandez-Gonzalez was indicted on charges related to money laundering and making illegal financial transactions in October of 2016. His trial is set for April of 2017. On February 15th, FIFA began formal proceedings against Eduardo Li and Brayan Jimenez seeking lifelong bans for their respective roles in bribery and corruption discovered in the U.S. Justice Department’s investigation into soccer-related global fraud. Both Li and Jimenez pleaded guilty to corruption and racketeering charges in 2016. FIFA is seeking to ban the men from any soccer-related activities due to their repeated breaches of the “FIFA Code of Ethics” (BBC, 2017). In October of 2016, Li admitted to extortion and fraud related to taking more than $500,000 in illicit payments for steering match marketing rights to a private firm” in front of a New York federal court (AFP, 2017). Jiménez has pleaded guilty to reportedly “negotiating and accepting bribes worth hundreds of thousands of dollars in exchange for marketing rights for his country’s qualifying matches for the 2018 and 2022 World Cups” (AFP, 2017). Li -.” The Tico Times. 15 Feb. 2017. Web. BBC Sport.” BBC News. BBC, 15 Feb. 2017. Web. Stash.” MiamiHerald.com. The Miami Herald, 15 Feb. 2017. Web. NASDAQ.com. Nasdaq, 16 Feb. 2017. Web. Euronews. 14 Feb. 2017. Web.